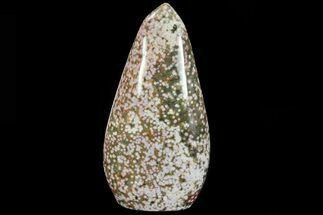 This is a polished free standing sculpture made of ocean jasper from the Ambolobozo Peninsula of Madagascar. 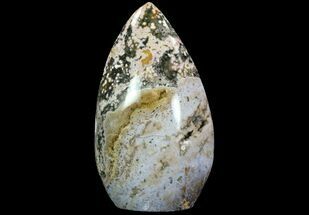 Ocean jasper has a very unique character, as the patterns and colors are so different between them. The base of this piece has been cut flat, which allows it to display nicely without the use of a stand. 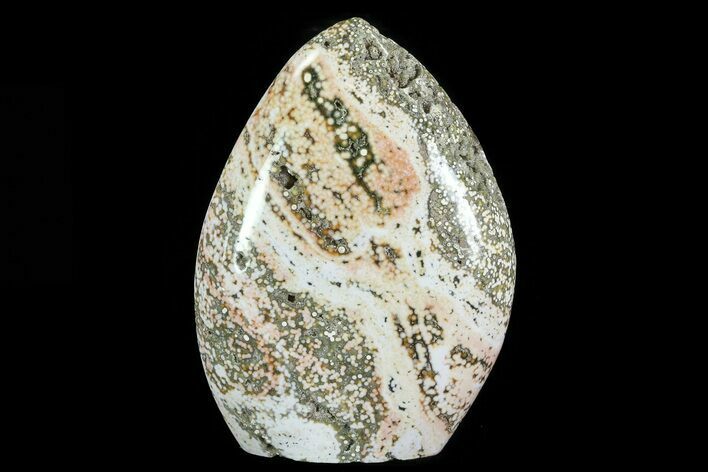 Ocean jasper is a rare type of jasper mined in a single location on the Ambolobozo Peninsula of Madagascar. 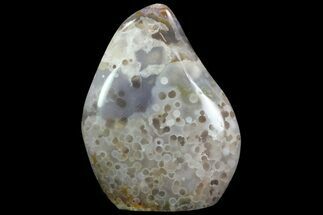 The deposits are found on the coastline (hence the name) and can only be reached by boat, and mined during low tide. 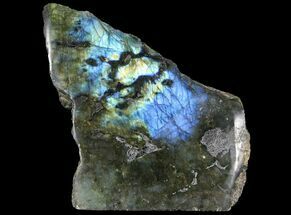 The deposit formed as a rhyolite flow but has been completely silicified. 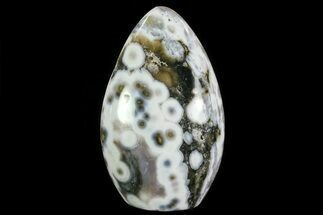 The rhyolitic eyes or orbs come in an astonishing array of colors and color combinations. The background can be white, pink, green, red, or yellow. 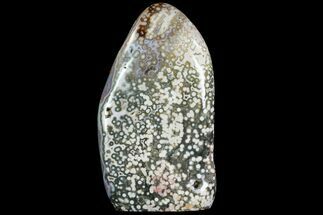 Botryoidal formations as well as white and deep green druzy are also common.